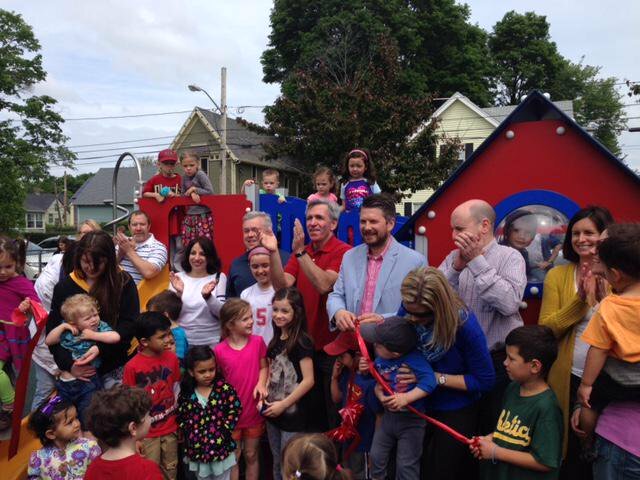 The new Melrose Common playground opened to much acclaim this past weekend. 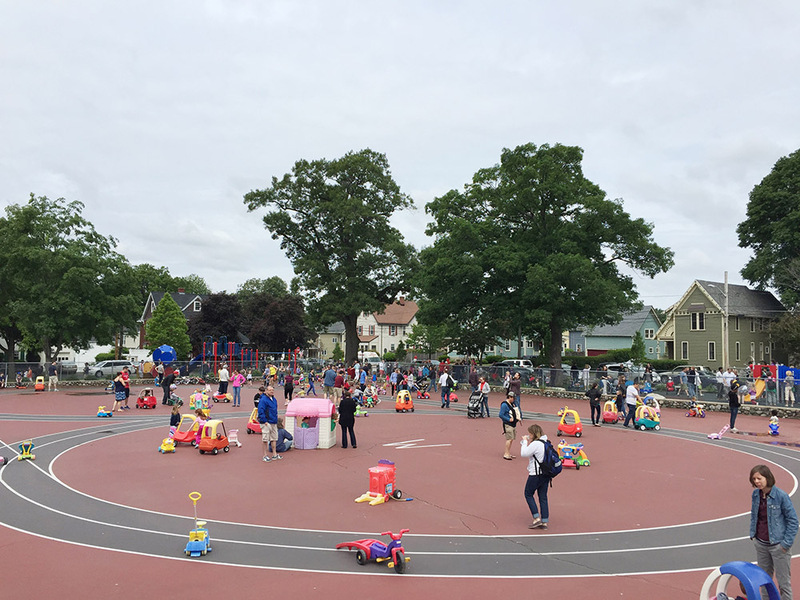 The park’s grand opening and dedication ceremony took place on Saturday, June 6th, and was attended by Johnathan Law, the Project Manager and lead designer for the park. 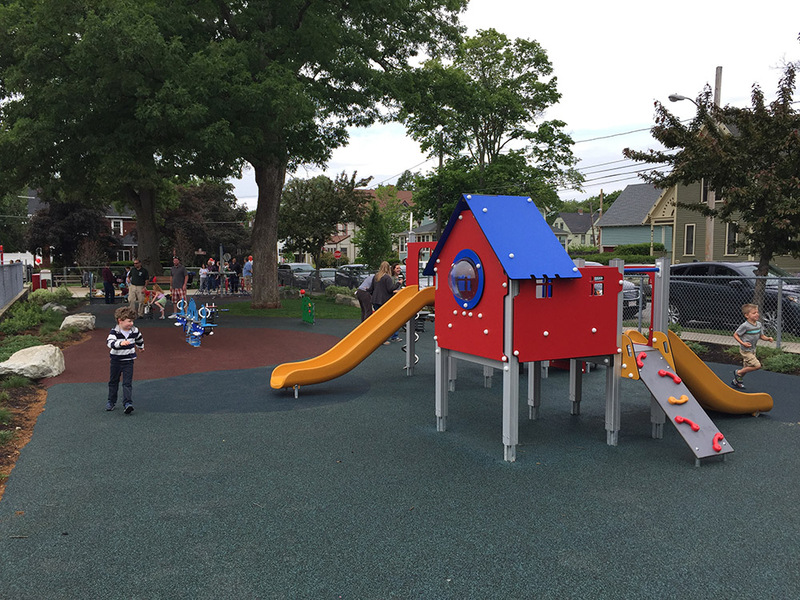 CRJA-IBI Group recently worked with the City of Melrose to renovate the existing Melrose Common playground. Centrally located in the City, Melrose Common has become an important recreational area and community gathering space for the surrounding residential neighborhoods. 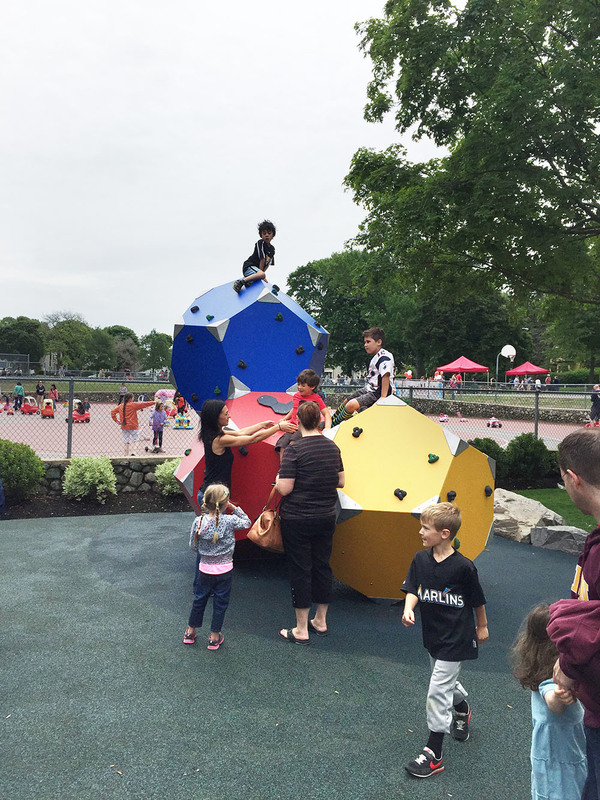 The Recreation Department runs approximately 25 programs and 6 large citywide events at the Common every year. 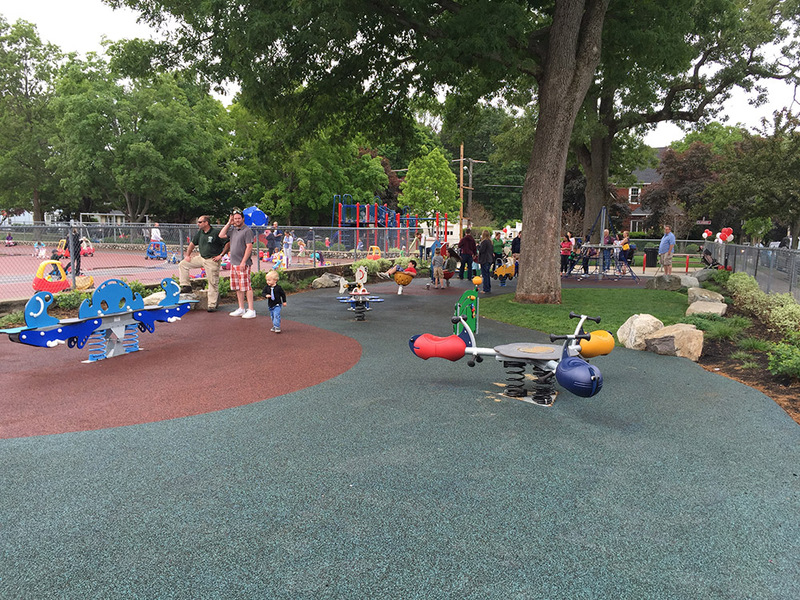 The existing playground was in need of updating and was not meeting the residents’ needs. The goals of this renovation project were to enhance the users’ overall experience by providing universal access throughout, updating all of the play equipment, improving safety with the installation of rubberized surfacing and the redesign of seating and gathering areas, and perhaps most importantly, create a playground where children of all abilities can play together. Universal access and ADA guidelines were incorporated into seamlessly into the design. 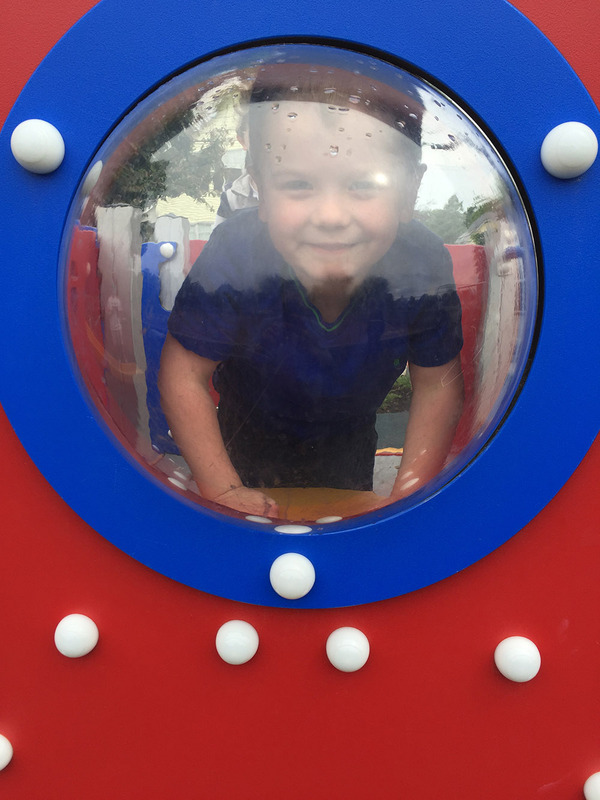 The play areas and the entry plaza are graded at less than 2% which complies with ADA guidelines, an accessible walk connects the existing basketball court with the new playground. In addition, the rubber surfacing provides a fully accessible ADA-compliant walkable surface that accommodates wheelchair access while improving safety for all users. 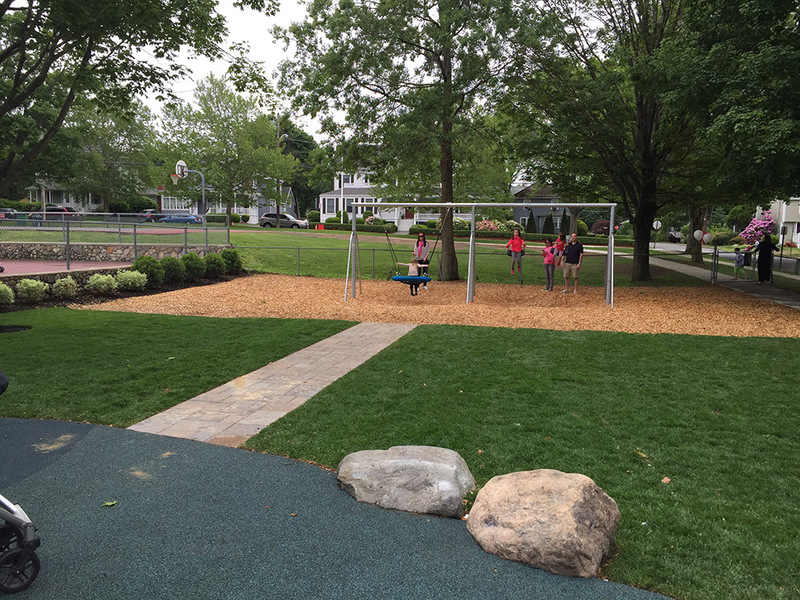 The Melrose Common will become a cornerstone for universal play and gathering for children with all abilities, in the surrounding neighborhood and city as a whole.